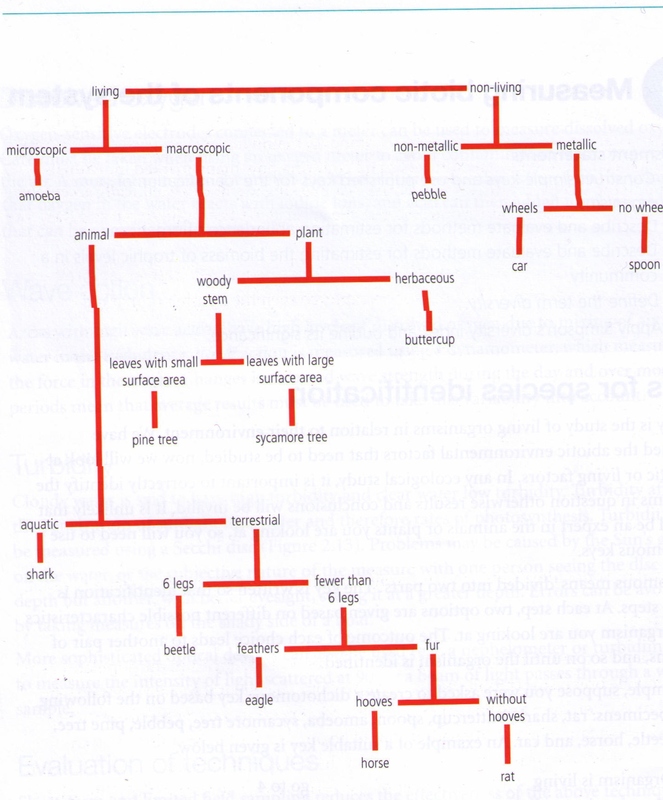 Construct simple keys and use published keys for the identification of organisms. Describe and evaluate methods for estimating abundance of organisms. You can either count them all or using percentage cover of an organism in a selected area or by using the Lincoln index and calculating the abundance. This method allows you to estimate the total population size of an animal in your study area. This method includes collecting a sample from a population, then marking them like painting or attaching something to the animal, releasing them back into the wild, then resampling some time later and counting how many marked individuals you find in the second capture. IT is important to take into consideration that the marking methods are not harmful to the animal and clear so that they do not become easy targets for prey. Quadrats are used to measure the percentage cover of a certain species. Ecologists want to find out how many organisms are living in a specific area, however they cannot count them all so they make a sample count. Percentage cover is the area within the quadrat being used by one particular species. Percentage cover is worked out for each species present. Dividing the quadrat into a 10×10 grid helps to estimate percentage cover. Sample methods must allow for the collection of that is scientifically representative and appropriate, and allow the collection of data on all species present. Results can be used to compare ecosystems. Percentage frequency is the percentage of the total quadrat number that the species was present in. Describe and evaluate methods for estimating the biomass of trophic levels in a community. *Biomass: the mass of organic material in organisms or ecosystems, usually per unit area. Biomass is calculated to indicate the total energy within in a living being or trophic level. The greater the mass of the living material the greater the amount of energy present. Biomass is taken as the mass of an organism minus water content, like dry weight biomass. Water is not included in biomass measurements because the amount varies from organisms to organism, it does not contain energy and is not organic. To obtain the samples, the biological material is dried to constant weight. It is then weighed. The specimens are then heated in a oven which is not hot enough to burn the tissue and left for a certain amount of time. Biomass is usually measured per unit area so that comparisons can be made between the trophic levels present. Diversity is often considered as a function of two components: the number of different species and the relative numbers of individuals of each species. This is different from species richness, which refers only to the number of species in a sample area. Apply Simpson’s diversity index and outline its significance. *It is not important to remember the whole formula, but good to know the meaning of the symbols. 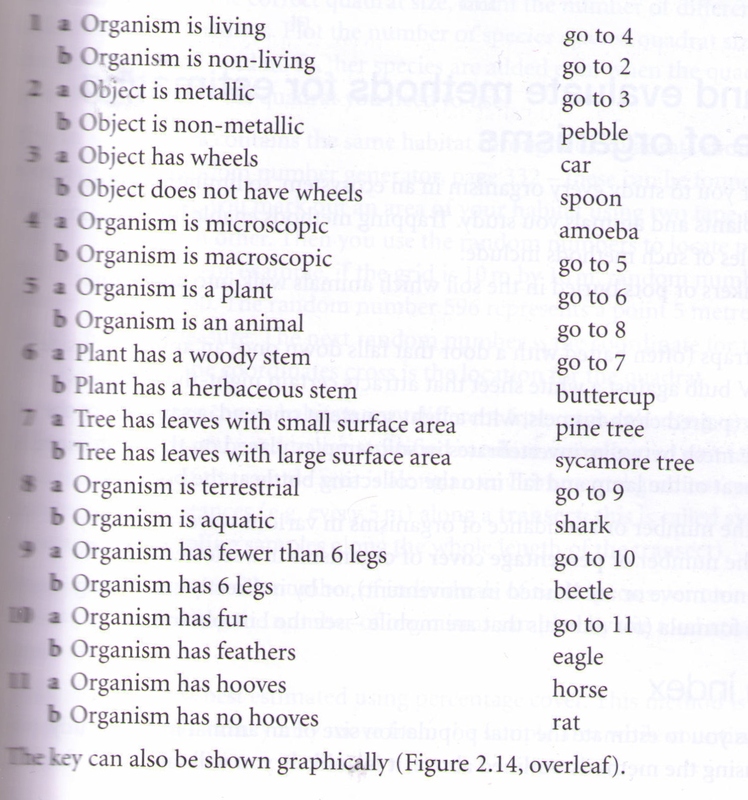 D is a measure of species richness. A high value of D suggests a stable and ancient site, and a low value of D could suggests pollution, recent colonization or agricultural management. The index is normally used in studies of vegetation but can also be applied to comparisons of animal diversity.